Price Paid: Employee Discount..... ~$340 US. 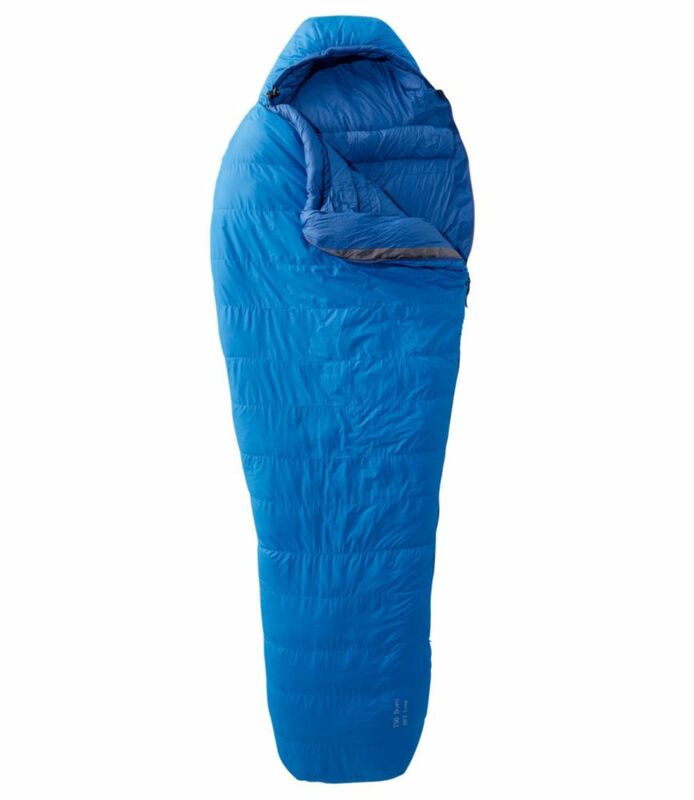 I love this sleeping bag!!!! I have another winter bag with a similar temp rating (a conservatively rated -20°F) that I've used more frequently if for no other reason than I've not been out in the extremes the CWM is capable of. Have used it on several sub-zero trips and as low as -10°F. I had to open up the bag to cool off. At 5'11" the Reg. length was perfect. A bit heavy, but in the real cold, insulation often equates self-preservation. If you are going out in the Winter anywhere North or High this is your bag. You can spend more, but you get nothing more in return — other bags are heavier, not necessarily warmer. 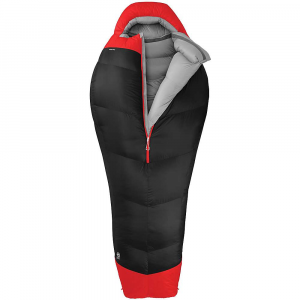 In those exceptional temps, it's very common for condensation from breathing to saturate a sleeping bag's insulation and compromise loft — not so with the DryLoft the CWM shell is made from. I've *never* had a moist bag/shell material. 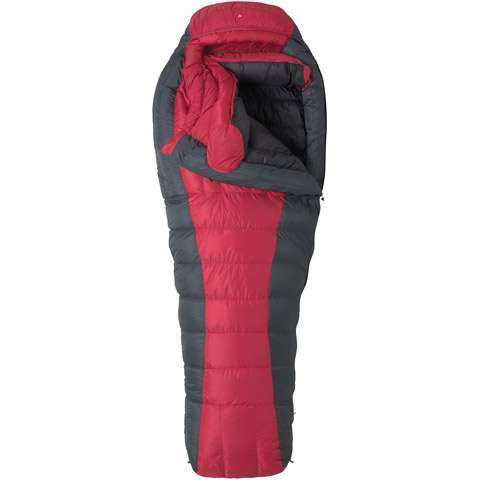 When in temps cold enough to require a bag of this magnitude, I've found it imperative to incorporate a Vapor Barrier Liner (VBL) to ensure I'm not saturating the sleeping bag from the inside out. This also helps to keep the bag clean and odor free (except around the face/head opening, which is easy to clean with a damp cloth). I've had this bag for 14 years now and I've not found the insulation to be any less than when it was new. Admittedly, it's been a couple years (2004) since i've had it out in the deep cold, but I store it well and check it over semi-annually and the loft hasn't measurably changed (~10"). The CWM Dryloft has been discontinued. 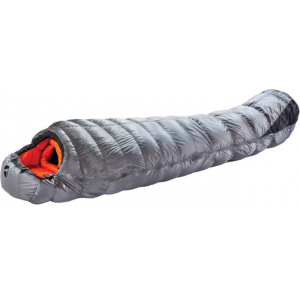 The Marmot CWM Dryloft is not available from the stores we monitor. It was last seen sometime before 2006 at Backcountry Outlet.